Edition of 150, 7 colors. This print measures 12×24. 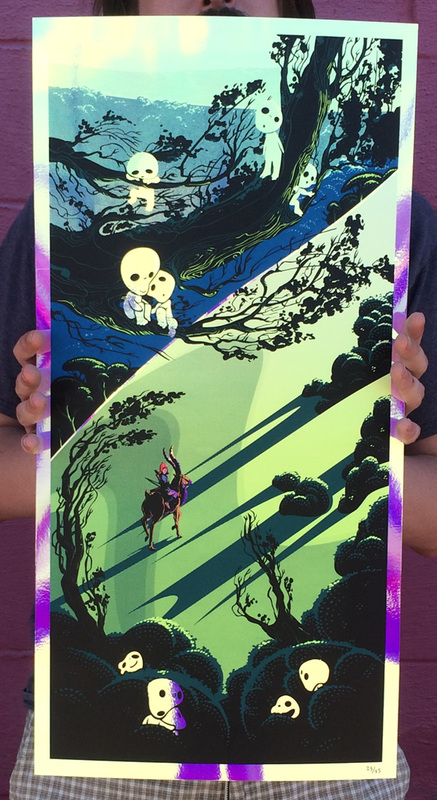 As he put it: “...this is a piece that celebrates two of my favorite artists, Hayao Miyazaki and Eyvind Earle,” and it truly is a gorgeous tribute. There are three versions of this beauty and all of them are available now over at Nakatomi Inc.! Edition of 150, 7 colors. This print measures 12×24 and is printed on Decorated Paper Radiant Iridescent foil. Edition of 150, 7 colors. 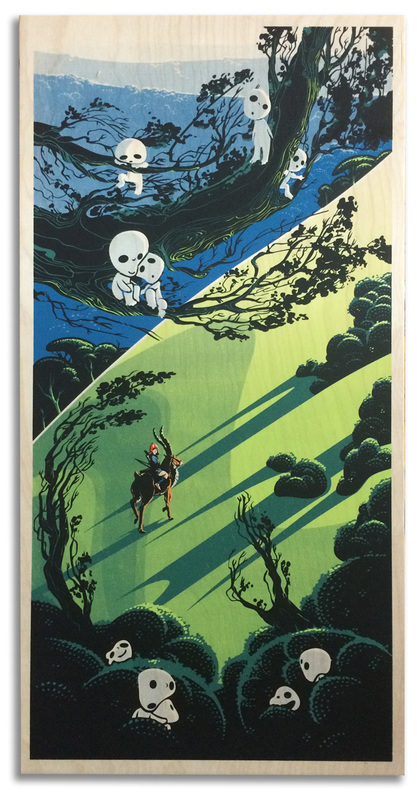 This print measures 12×24 and is printed on 1/4″ birch pine panel. 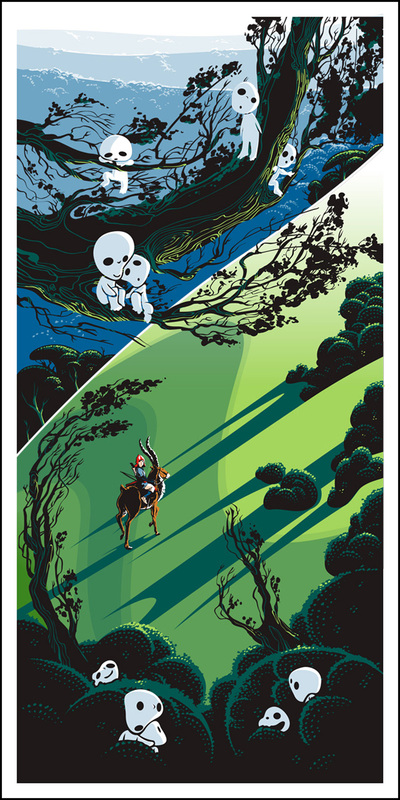 This entry was posted in Art, Posters and tagged Eyvind Earle, Hayao Miyazaki, Joshua Budich, Nakatomi Inc, poster, Princess Mononoke. Bookmark the permalink.